Delete or rename the splash-logos.mp4 file. Vert- by default. FOV can be increased to compensate. Moving the FOV slider 9 notches to the right from the default center position gives the closest to a true Hor+ image. FOV slider introduced in the first update. TAA, Low to Epic settings. 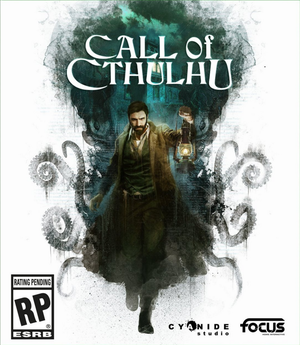 See Helix Mod: Call of Cthulhu (DX11). ↑ 1.0 1.1 File/folder structure within this directory reflects the path(s) listed for Windows and/or Steam game data (use Wine regedit to access Windows registry paths). Games with Steam Cloud support may store data in ~/.steam/steam/userdata/<user-id>/399810/ in addition to or instead of this directory. The app ID (399810) may differ in some cases. Treat backslashes as forward slashes. See the glossary page for details.